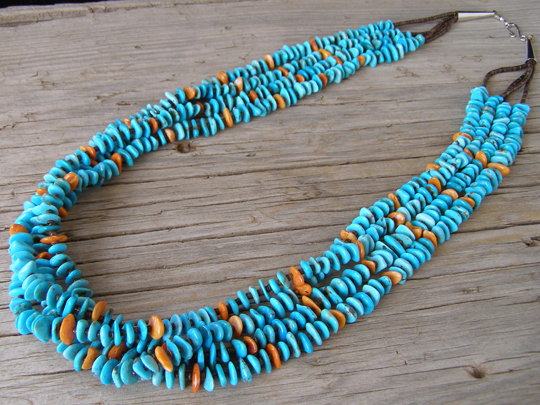 This four strand necklace is strung with clear blue Kingman turquoise baby flat nuggets in combination with orange spiny oyster. Fine-diameter baby olive shell heishi is strung as spacer beads between the turquoise and spiny oyster and this lends a suppleness to the strands and aids in their silky, fluid movement. The necklace is finished with Sterling cones at the catch.